This group is to discuss the Wachovia Fast Track Short Sale Program, and share our experiences with Wachovia Short Sales. We have discovered that Wachovia is setting the example for other lenders to follow when it comes to streamlining the short sale process. As part of the Wachovia Fast Track Program, which Wells Fargo is also implementing, Wachovia will give pre-approved terms and listing prices for borrowers who qualify for a short sale. In addition, they are also offering up to $5,000 cash back to sellers to complete a short sale. Click here to view an approval letter showing a borrower getting $5,000 back! Wachovia and Wells Fargo Short Sales are now the same in many ways now that Wachovia is owned by Wells Fargo. Do you qualify for a Wachovia Short Sale and need to get started in the process? We can help! There is no cost involved or out of pocket expense for borrowers in financial hardship. 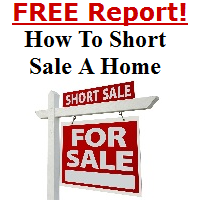 Find a local Wachovia Short Sale Realtor - Visit www.Short-Sale-Specialists.com! Wachovia Short Sales Made Easy - Fast Track Program Information - Please note that the short sale managers vary from area to area, contact Wachovia to find your local short sale manager for the fast track program. I understand. If it is something serious that affects the value like a foundational issue, I would imagine they would consider that if you bring it to their attention with documentation. If you have the inspection report that would help. It would probably be even more helpful if you had a foundation contractor come out and give you a written estimate. Hi Mike. It's actually a cash buyer but regardless the home most likely won't qualify for financing due to the condition & issues. I am working with the fast track manager but also know the negotiator that he is in connection with at Wachovia in Texas. The home has foundation issues discovered after actually going underneath the home. Wachovia is good about allowing for repairs if they are necessary for the buyers loan. If something came up in the inspection I don't know that Wachovia will pay for it, but if the same major issue were to come to light with the buyer's lender and it became a condition of the appraisal or underwriting then you should have a fairly easy time getting Wachovia to pay for it if this is a Fast Track short sale on one of the old World Savings loans. Are you working with one of the Fast Track Managers, or have you submitted the file directly to Wachovia's offices in Texas? If you are working with one of the Fast Track Managers they can help you with the issue. Has anybody ever had major issues come up in the home inspection after wachovia issued the short sale approval and gone back for a credit or price reduction due to what came up in the inspection? Wachovia already had an interior appraisal done before they issued the SS approval. Any feedback? Thanks. I have a file that is under HAFA review. My homeowner does not have financial documentation requested by HAFA. Does anyone know if Wachovia will require them as well? Are either one of them flexible to work without the documents? My brokerage handles the southern Polk County Florida territory for the regional manager on their short sale fast track borrowers. They decided to just deal with two companies in our area. We have had good success thus far. Only frustration is in marketing. If a borrower already has their home listed for sale with another agent. That agent may not know about the program. We can't solicit those borrowers since their active. You just wish somehow the borrower's knew they have better options. I rate Wachovia number one in processing short sales; I have gotten approvals in as little as 14 days but no more than 30 from the time I got my Negotiator assigned. I have recently closed on a Wachovia Short sale! It was swift and and approval within 2 weeks. The expereince was awesome! I would love to do Wachovia SS all day long..lol. Thank you very much. I actually got hold of his supervisor later this evening. Ted did a good job when I did the short sale fast track with him for this transaction. But, some issues happened so I need to contact him. I sent him at least 4 emails in the past 10 days and never heard from him. Not even an email said he is busy and will get back to me. He did that before. So I called him. I don't like to call him either because I know they are very busy. Since I sent his supervisor an email. He finally returned my email and said sorry didn't return my call. He said he will take care the issue tomorrow. I will let all of you know the result. Thank you very much everyone's help.